Are you a commercial property owner, apartment complex manager, or someone who is apart of HOA for a residential development that needs commercial landscaping in Burleson, TX? If so, you can rely on the professionals at MDM Landscapes! Our landscape specialists are able to offer landscaping services, as well as additional landscaping services to keep your landscaping in great shape. To make an appointment or to learn more information, please call us at 817-396-0125! As a commercial property owner, you have a lot on your plant in terms of running your business. Because of this, you probably don’t have a lot of time to dedicate to your landscaping. While your commercial property, apartment complex, or residential development landscaping is important, it can be really easy for planting, repairs, or maintenance to fall by the wayside. At MDM Landscapes we want you to be able to focus on your job without having to worry about whether or not your sprinkler system is working or whether your flowers dying, which is why we offer landscaping services for your property! If you are interested in this type of commercial landscaping in Burleson, TX, call us today! Hardscape Services When you need hardscape services for your commercial property, please call our specialists today! Irrigation Management Do you need a sprinkler system installed or your irrigation system maintained? Call us for management services. Landscape Design We are not only able to provide landscape design but we can maintain it to ensure it stays in good condition. One of the best ways to increase your property value and curb appeal is to have exceptional landscape design. It might seem like planting grass and flowers would be easy, but it does take skill and experience to find the right plants, ensure they are planted correctly, and that they are well-maintained. If you are looking for professional landscape design for your commercial property, we are here to help! We are able to offer flower bed installation, grass and sod installation, mulch application, and dirt work. For people who are having a stadium built or have an athletic facility that needs turf, we can offer sport turf installation. Make an appointment with us for commercial landscaping in Burleson, TX by dialing 817-396-0125. Are you interested in having a retaining wall added? Do you need stone work for your commercial property? At MDM Landscapes, we not only offer landscape design for your property, but we also offer hardscape services. This type of landscape service involves using natural materials to highlight different parts of your landscaping; examples of hardscaping would be patios, stone paths, gravel walkways, and even gazebos. If you are looking to enhance your landscaping with stone, wood, or other material, we are able to help! 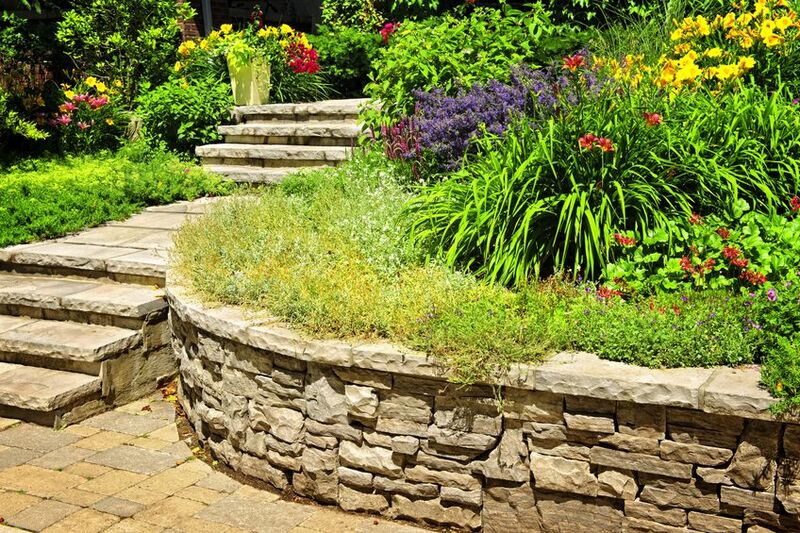 We are able to offer installation and repair service for retaining walls and stone work. Get in touch with us at 817-396-0125 and we can tell you more about this kind of commercial landscaping for your Burleson, TX property. The best way to make sure that your lawn is never overwatered and that you aren’t wasting money on electricity or water bills is with an irrigation system. People who have to take care of their lawns are prone to overwatering their trees, bushes, and flowers. This can really damage your landscaping and it can also be incredibly expensive. With the help of our specialists, we are able to install irrigation systems such as sprinklers and then provide maintenance and repairs whenever they are needed. Whether your existing landscaping needs an irrigation system or you need it for new construction, please call us at 817-396-0125 for this commercial landscaping service in the DFW area. Not only do we offer landscaping services for your commercial property, apartment complex, or residential property, we are also able to offer other landscaping services. We don’t stop working for you once we have planted grass and flowers or once an irrigation system is installed–if you need additional services to keep your landscaping looking healthy and green, we are more than happy to help. To make an appointment for commercial landscaping in Burleson, TX, contact us today at 817-396-0125! We can go over what additional services you need for your landscaping. Lawn Care Do you need professional lawn care for your commercial property? Contact our team today! Outdoor and Landscape Lighting We are able to install and repair outdoor and landscape lighting for your property. Tree Care Let us help keep your trees in the best condition by calling us for tree care services. When a lawn is healthy, it continues to grow and thrive every single day. 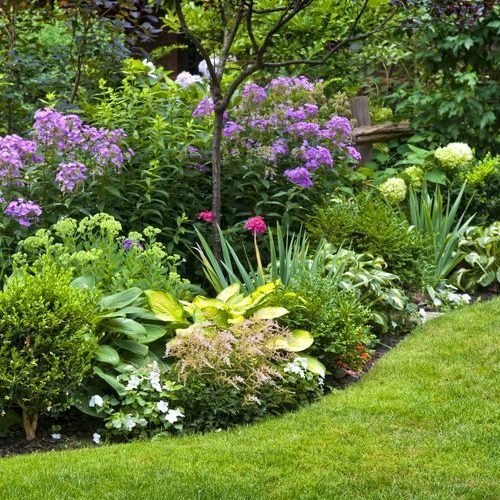 Bushes, grass, and flowers can grow pretty rapidly, which can lead to a very unkempt lawn if not taken care of. Because commercial property owners, apartment complex managers, and people building residential developments have a lot of other tasks to take care of, lawn care might not be at the top of their list of things to do. If you want your landscaping to be in great condition but you don’t have the time to take care of it, we can help! We offer lawn care services that include commercial lawn maintenance, residential lawn mowing, soil aeration, drainage services, and fertilizer. Get more information by calling us at 817-396-0125 and booking an appointment for commercial landscaping in Burleson, TX. More than ever, we want to be able to add more value, curb appeal, and security to our properties. A great way to ensure your landscaping is emphasized and safe is by having outdoor and landscape lighting installed. Our specialists are not only experts in landscaping, but we also install and repair outdoor and landscape lighting for commercial properties, apartment complexes, and residential development. If you want to highlight the trees in the front of your building or you need lighting added to your bushes, we are ready to get started! Call 817-396-0125 and make an appointment for this kind of commercial landscaping in Burleson, TX. If you have trees on your property, they are able to increase our curb appeal, property value, add more clean air, and can significantly cool down our properties. Because they are important parts of any property, its so important to keep them in great shape. At MDM Landscapes, we offer tree care services, which can help keep your trees growing and thriving for years to come. One of the biggest services that we offer is tree trimming and pruning. We advise that you get tree trimming at least twice a year and pruning once a year; tree trimming ensures that the tree looks great aesthetically, while pruning can get rid of branches, limbs, and twigs that can have a negative effect on the tree. In addition to tree trimming and pruning, we also offer tree planting and removal. If you need to make an appointment for any of these tree care services, please call us at 817-396-0125 for this kind of commercial landscaping in Burleson, TX. For commercial property owners who want to keep their landscaping in great shape, call us today for commercial landscaping in Burleson, TX. We have the knowledge and experience to keep your landscaping well-maintained, as well as offer planting and repairs. Whether you need hardscape services or you want lawn care, we are able to help you. Call our office at 817-396-0125 and one of our specialists can make an appointment for you. We are the trusted professionals to go to for commercial landscaping in the DFW area. Updated on April 16, 2019 at 9:54 am by MDM Landscapes.